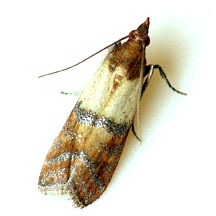 Where did you come from, Indian Meal Moth? From our trunk, you say? So how many weeks were you lost? Wes and I thought it was merely a fluke. Perhaps you flew from outside of our car? Oh my gosh! That’s number four! It went on to describe how I found hundreds in our trunk, how coworkers found dead ones on my clothes, and how several survived and then escaped into Toronto when we drove through Ontario. I know, super fun. 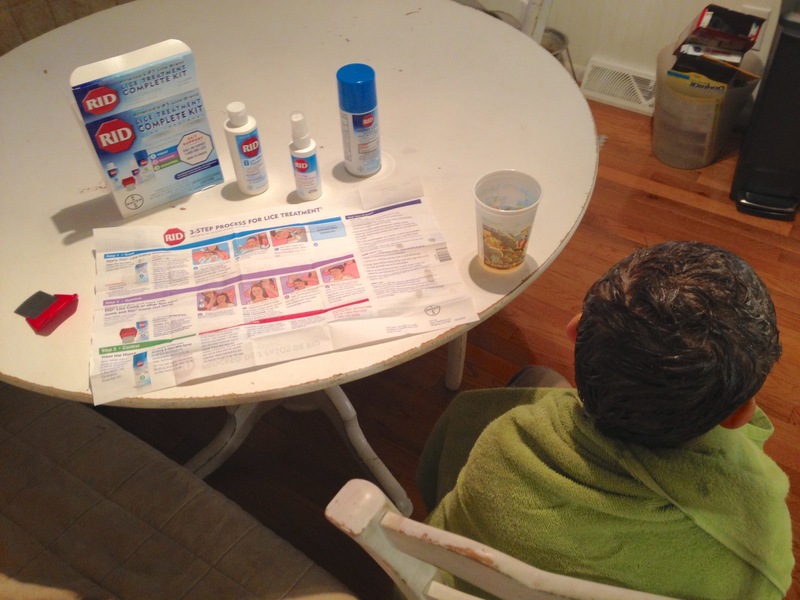 I ought to start another sub-par series of verses to describe our latest infestation: lice. Oh, yes. We’ve hit a new parenting low. “Mama, will they bite me? I’m scared. 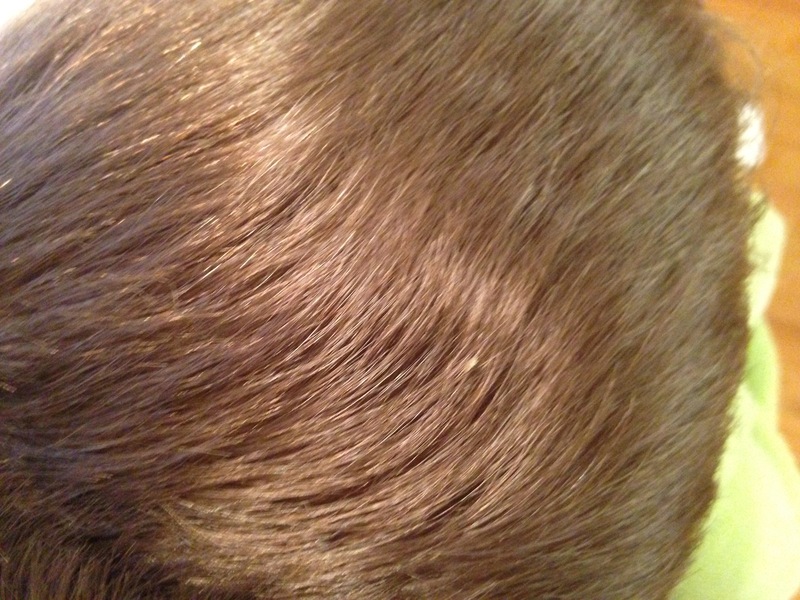 What’s going to happen to my hair? !” <-All the way to Target. We found the most expensive kit available, and to get home as soon as possible, we tried to use the self-checkout. I’m pretty sure we broke the machine, and everyone around us knew that we were BUYING A LICE KIT. You could see people back away from us. Oh, the stares! Thank goodness Steven wasn’t home because he would have made so much fun of us (me) as we followed the box directions. “You mean I have to take TWO showers? !” Wesley’s only other complaint (because he cheerfully sat watching Octonauts) was being cold from his bared belly in the drafty kitchen. Dinner was gourmet peanut butter & honey sandwiches and pretzels – it was nearly 8 p.m. by the time laundry and showers were complete. I stayed up until midnight bagging up stuffed animals, washing coats and furniture and spraying everything else in my path. Wes got a clean bill of health from the school nurse the next morning and was cleared to join his classmates for their Valentine’s party. Steven was scheduled to fly in that evening, and he made “secret” arrangements for my parents to babysit while we had Valentine’s dinner together. It was actually pretty amazing. 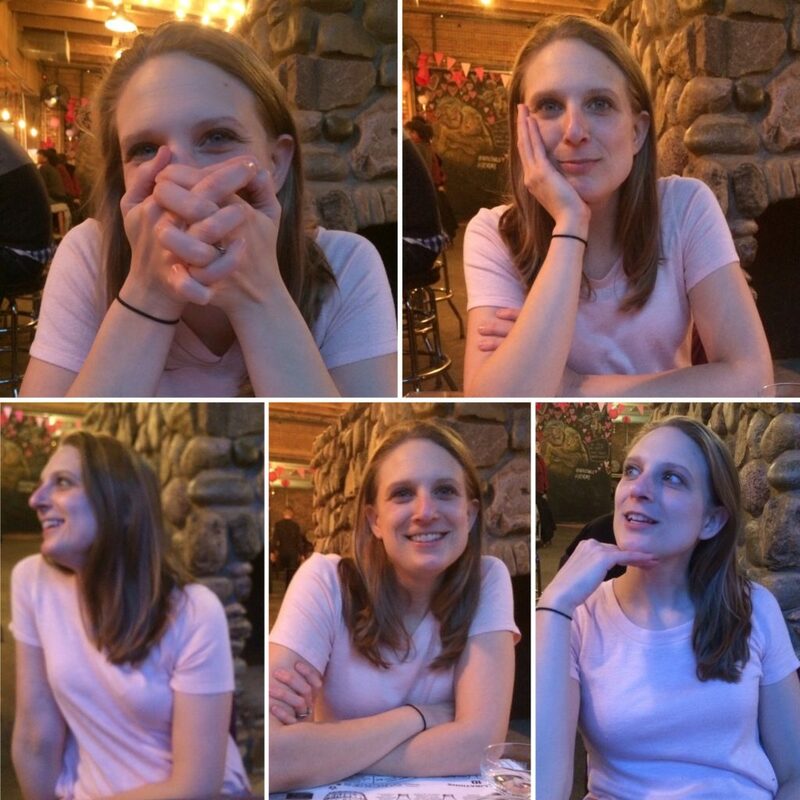 He took so many photos of me throughout our date night. At the time I felt awkward and in the spotlight, but when I look at those photos now, I see love – captured in the way he portrayed me through his shattered iPhone lens, and captured on my own face. He makes me feel like a million bucks. So, Wesley wasn’t with us or at our house AT ALL from 7:30 a.m. until about 9 p.m. when my parents brought him home. I thought I saw something in his hair then, but I figured I was being paranoid, and brushed it off. But in the morning, the “something” WAS STILL THERE. Teeny, tiny little white things moved when touched. I called the school and said he’d be late since we had to do another treatment and re-wash his coat, backpack and EVERYTHING ELSE. Once he got to school, however, the nurse said he looked great. We were both baffled. SURELY he had to be getting lice from school, right?! It’s the only place except my parents’ that he’d been that day, and my parents couldn’t have been the original lice source because he hadn’t seen them in weeks. It didn’t make sense. 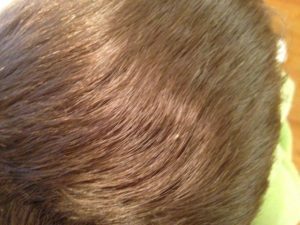 No other family – that I knew of – reported lice from his classroom. Uuggghhh. I deep cleaned the entire house AGAIN, and then I checked the dogs, just to make sure…of what? I didn’t know. Lucy had suspicious flaky skin, and I could have sworn some of the skin flakes hopped. Google doesn’t help when you’re freaking out, and I convinced myself that she had “walking lice.” I called the vet and tried to convince them (“Ma’am, lice aren’t able to cross species.”), and scheduled an emergency appointment for that afternoon. At the last moment, I decided to bring Jake along, too, because what if he was contaminated? I don’t know where my mind was. Bringing two dogs to a busy veterinarian by yourself is difficult, but it seemed necessary. The appointment was anticlimactic – yep, just dry irritation – and confirmed my paranoia. The doctor was kind through my apologetic, embarrassed commentary. Now I have a massive jar of gigantic Omega-3 pills to treat Lucy’s itchy skin. Sorry, girl. And doubts about the whole messy ordeal. Did I see lice at all? Am I making this up? No, I know what I saw, and it was gross. Thankfully we’re now able to unbag everything and return to normal. We missed our couch pillows. It’s been weeks, even months since you first arrived. It’s our house, and we don’t like your kind.